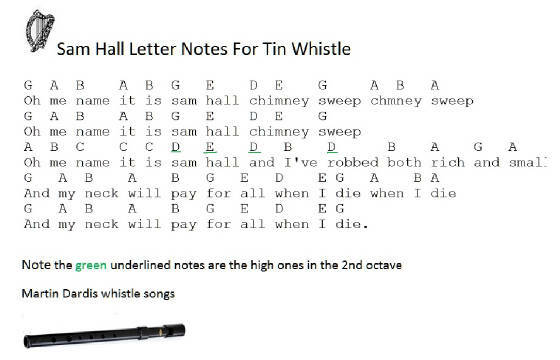 Sam Hall lyrics and guitar chords. A tradition song recorded by The Dubliners, Paddy Reilly and The Dublin City Ramblers. Coothill is in Co. Cavan but I think this song is of English origins. The sheet music notes are included. How To Play Sam Hall on the guitar, here's a video of myself which will show you how to play the chords and give you a feeling of the way the tune goes. I use the very same chords as what's displayed in the lyrics. It's a handy little song that all folk musicins should know.